“There is no enjoyment like reading! How much sooner one tires of anything than of a book,” said Jane Austen. As a library is said to be an island for those who are in the middle of sea of ignorance, ACADZONE has chosen some of the best libraries in India for both students and research scholars. Which one do you think is the best library? Share with us in comments! Library: A place to go, to connect, to share, to grow and help others expand their horizons. Delhi Public Library (DPL) was formed by the joint efforts of UNESCO and Government of India in 1951 with the objective of sharing knowledge. DPL is famous for providing the visually challenged with a huge collection of Braille books. Its readers include visually challenged, people from the economically disadvantaged stratum of society, children and even prisoners. 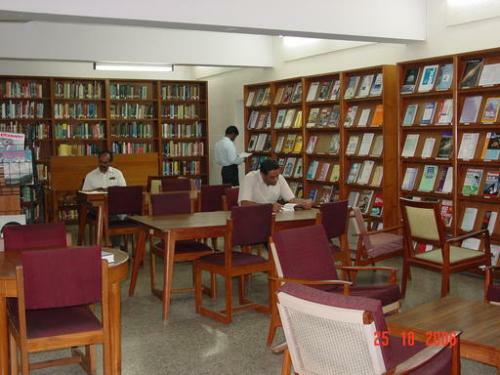 The Delhi Public Library provides an extensive range of books, journals and other reading materials in Hindi, English, Urdu, Punjabi and various other Indian languages for people of almost every age. Library stock consists of 16 lakh books on diverse subjects including books for competitive exams, computer science, information technology, philosophy, religion, Hinduism, economics, political science, international relations, linguistics, science, literature, history, geography etc. The National Library of India, managed by the Ministry of Tourism and Culture, Government of India, is the largest library in India with a collection of more than 20 lakh books. This library collects, circulates and preserves the printed material that is produced in India. It is famous for being one of the four depository libraries of India and the sole repository library where all books, publications and official documents are stored. The Central Reference Library (CRL) is a subordinate of the Department of Culture, Ministry of Culture, Government of India. It is the National Bibliographic Agency of India. All bibliographical records since 1958 are available here in electronic format – there are over 6 lakh records in its database. The library only offers reading facility but no lending facility. Members of National Library may also refer to the database of CRL. State Central Library, Kerala, also known as Trivandrum Public Library, is the first public library in the countrty. It was established in the year 1829 during the reign of Sree Swathi Thirunal, Maharaja of Travancore and Col Cadogan was the first president of the committee that managed the library. This library was then known as Trivandrum People’s Library, and only a privileged class who were invited to the Durbar of Maharaja of Travancore could enter the library. The State Central Library is still managed by the library committee and has a vast digital collection of 709 books in English and Malayalam along with a total collection of 3,67,243 documents in different languages such as English, Malayalam, Hindi, Tamil and Sanskrit in various disciplines. Library of Congress Office, New Delhi acquires resources from countries like Bangladesh, Bhutan, Burma, India, the Maldives, Nepal, Sri Lanka, Mongolia and Tibet. The head office of this library is situated in Washington, USA. This library gathers information from South Asian countries, North American research libraries as per the demand of the academicians and research scholars who are members of Congress as well as a large section of Americans living in South Asia. This information is available in the form of journals, maps, dailies, brochures, etc. The Library of Congress Office preserves brochures, journals and materials in the form of micro films. This library has taken the responsibility to procure, preserve and disseminate information about the South Asian countries’ caste, creed, cultures and traditions. The Library of Congress Office is thus admired for being a vast store of information of diverse cultures, history, languages and traditions in South Asia. This entry was posted in Uncategorized and tagged Central Reference Library, Delhi Public Library, Library, Library of Congress Office, National Library of India, State Central Library. Bookmark the permalink. Post a comment or leave a trackback: Trackback URL.